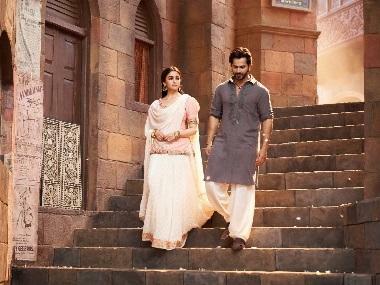 Kalank's newest song 'Aira Gaira' has created quite a furore on the internet, with Twitterati calling Karan Johar a 'hypocrite'. The song features Kriti Sanon, who is dancing in the midst of Varun Dhawan and Aditya Roy Kapur, surrounded by hoards of men. Back in 2018, Karan Johar had apologised for featuring 'item numbers' in his films and pledged never to include one in a film made under the banner of Dharma Productions. "An item song is when she is objectified and when there are men lusting for her like 'Chikni Chameli'. I don't think I would ever do that again. It's never gonna happen in a Dharma Productions film and I will make sure of it." Netizens have quoted Karan's earlier statements and dubbed him a hypocrite.